Gosford Air specialise in residential split system and ducted air conditioning. Gosford Air is equipped to take care of all your Woy Woy air conditioning needs. Whether you require installation, repair or maintenance on a residential or commercial system, we’re here to help. Our service area includes Woy Woy and the entire Central Coast. We can get you outfitted with equipment from all the major brands and keep your air conditioner running at all times. At Gosford Air, we know the air conditioning business inside and out. With over 25 years’ experience, our team of experts can perform Woy Woy installations and air conditioning repairs on a wide range of air conditioning systems, always providing service of the highest quality. No matter your repair needs, our technicians can handle them with ease. Want to make sure your Woy Woy air conditioner is always running like it should? At Gosford Air, we offer the residential or commercial air conditioning maintenance services guaranteed to keep you comfortable all year long. Whether the air conditioner in your home needs to be cleaned or you require service on a commercial system, we’ll get you taken care of promptly and efficiently. We’ll even show you how to get the most out of your system. Are you searching for a Woy Woy air conditioning company you can depend on to get the job done right? Need a solution installed, repaired or maintained? Gosford Air will provide the expert service you require at an affordable price. Contact us today to receive an obligation-free quote and learn more about our services. So how do you choose what type of air conditioning unit best suits you? 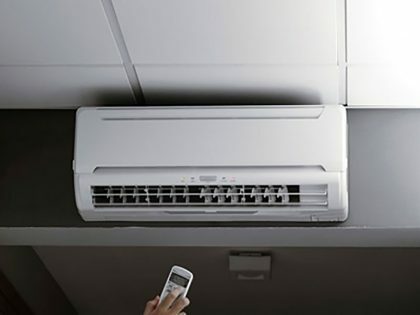 There are two types of air conditioning units, Ducted Air Conditioning and Wall mounted / Split-System Air Conditioning. Both of which allow you to cool or heat your home as you please. 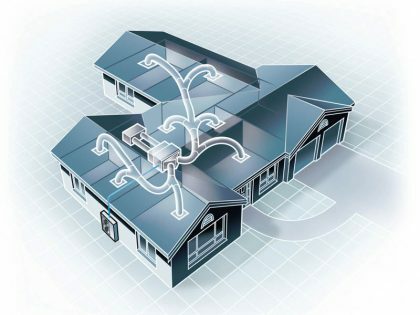 A ducted air conditioning system is designed to control the climate of an entire house. This type of system allows you to easily control the temperature in your home during summer and winter. For your ducted system to be effective, it must be the correct size (powerful enough) to maintain your desired temperature(s). A ducted system will also allow for you to control as many or little different rooms and their temperatures as you desire. This also allows you to reduce the energy consumption of your system. A wall or split system air conditioning setup is a more economical solution for heating and cooling single rooms. A split system or wall mounted system allows you to heat or cool a single room or multiple rooms with multi indoor heads with one outdoor system. We can also supply floor console and under ceiling units, if the split system is not suitable for your particular home. Who are you really hiring? We achieve this by employing qualified, honest and reliable staff who are able to meet the needs of the public, with their professional approach to our customers, thus enabling the smooth running of our business. We have dedicated staff in sales, service and commercial divisions which allows for them to build on their expertise to ensure your air conditioning requirements are met to the highest of standards.